When you enter your email a pdf of the ebook will be downloaded into your browser. Fall is in the air and it creeps in through open windows at night, cooling off the lingering heat of summer. The colors shift, the leaves crackle and the trees draw their life blood inward. As kids go back to school, parents relish their opportunity to experience peaceful days with fewer activities. As the world grows bigger with the effect of technology it seems ever more important to connect with our communities and act locally. By honoring and aligning with the transition between summer and winter we are able to tune into the silence and engage the winds of change in our lives. 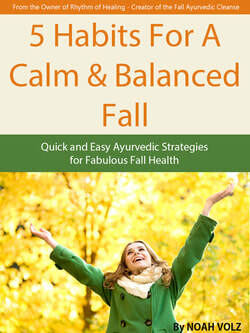 During this transition it is important to balance the dry, cold and rough qualities of fall. It is also a time when the veil between dimensions softens. We celebrate such rituals as the Day of the Dead and give thanks for the bounty of summer during Thanksgiving. Use this guide as inspiration be mindful about staying warm, creating routine and, like the trees, protecting your vital fluids this fall. Eventually you will be able to re-imagine your seasonal rituals in a fresh new way. Our day to day activities are governed by habits. 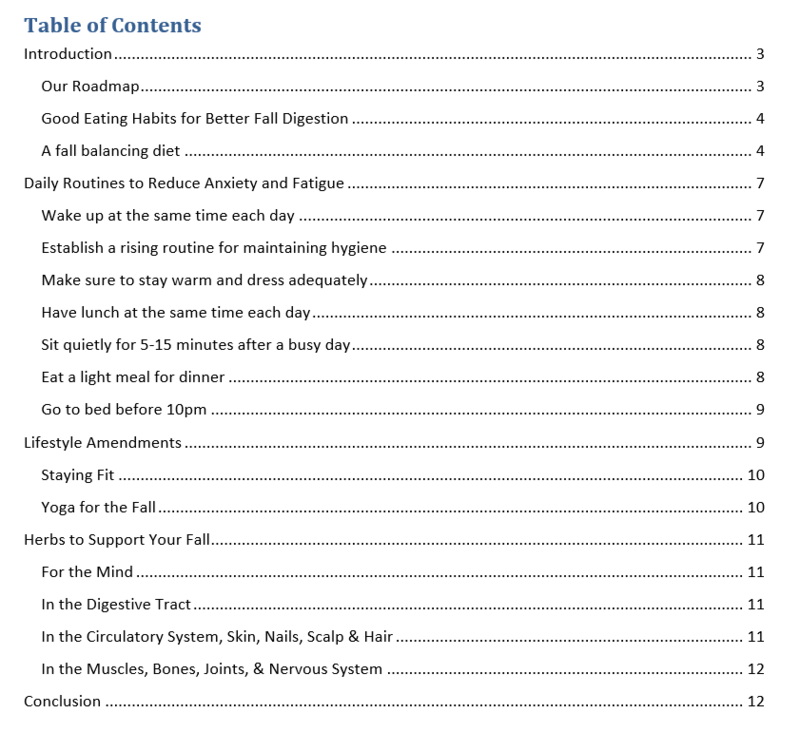 Depending on whether these habits are appropriate based on the time, place and circumstance in which we find ourselves we may or may not be supporting our health. The concept that governs whether this interaction between environment and the body is beneficial is “like increases like.” For example, when you are in full sun, your body temperature goes up and when you are in cold water your body temperature goes down. This is and example of the external environment affecting us, but it can also be our internal thoughts or emotions that create change in our body’s or minds. Many of us live relatively insulated lives moving from house to office to car. We are still affected by the qualities of the fall season.